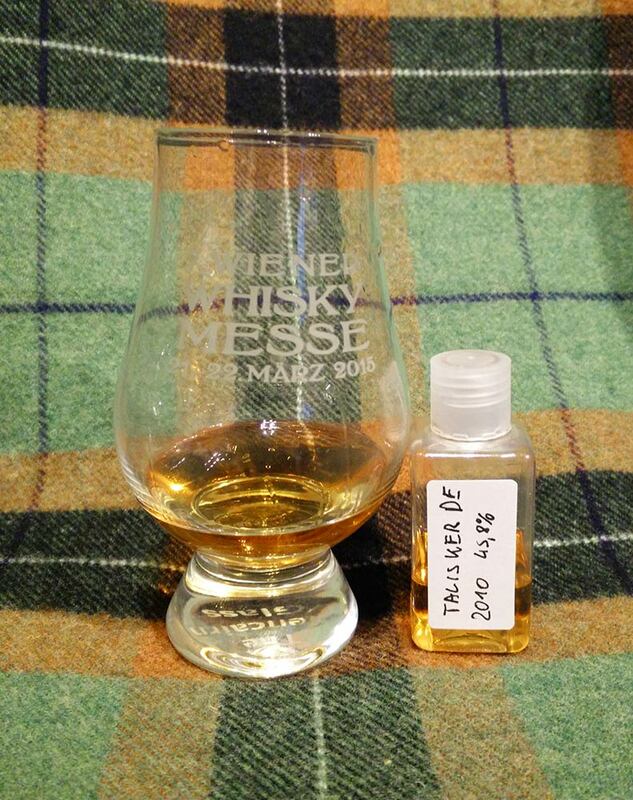 Amoroso is a PX-sweetened style of Oloroso sherry – let’s see what carried over from the casks into the whisky: The nose opens with – indeed – a noticeable influence from sweet sherry, but it is not overdone, integrating well into the Talisker style. What else? Fragrant peat smoke, briny salinity, an alcoholic peppermint-like top note, crushed pepper, ginger, orange peel, grapefruit, citrus fruit kernels, cough lozenges, custard. Fresh, young and invigorating. On to the palate: Mmmmmhhhh…. mouth-watering, thick and chewy! A well-integrated sherry sweetness up front with tropical spices (cloves, cinnamon) from the casks. Fragrant peat in the background, toffee, milk chocolate with hazelnut cream, caramelised orange peel, orange juice, caramelised ginger, brazil nuts, slight maritime salinity and a hint of black pepper. The long finish is surprisingly mellow upon swallowing but not lacking depth. Once again, there’s a dark sherry sweetness paired with milk chocolate and thick, condensed orange juice paired with fragrant smoke appearing halfway through. Oh wow. This is how you do a sherry finish. It complements, not overpowers the still lively and kicking Talisker distillate which is allowed to shine through the dark, sweet (but not overly so) notes introduced by sherry casks (probably ex-bourbon wood infused with “donor-sherry” instead of european oak ex-sherry casks from Spain, but who’s asking…). Very nice indeed, probably the best modern “finished” dram I’ve had in a long time.